As a Project Manager, it is inevitable you will have to carry out project interviews. They might range from interviewing a candidate for a project team role, to interviewing a Sponsor about their expectations on a project. Rarely are people given training on interviews. It is just expected that like breathing, it comes naturally. Nothing could be further from the truth. Interviewing is a technique, and as such it needs to be taught. Some people are naturals and some struggle. If you doubt there is skill involved, turn on your TV and watch a professional interviewer on a current affairs type program. In this article, we attempt to cover a few of the basics that will make you a better interviewer. Many years ago I took over a role as Marketing Manager in a financial services organisation. The week I arrived, it became evident that the company had a big hole in their investment portfolio and investors were about to loose lots of money. If I had known before, I might not have taken the job. I was to suddenly have to face the media and break the news. I had never thought much about being interviewed in the past but suddenly it became a significant concern. The company called in a specialist who would prepare me over a number of days to handle interviews. In our first mock interview he had me blabbering nonsense in about a minute. We then went back to basics and he spent a week teaching me about interviewing techniques. By the end of the week I was confident to face the media and get my message across in a way that did not cause a run on the institution, and gave investors confidence that if they stayed with the organisation, within a year their losses would be recouped. In fact the majority did stay, and they did get their money back. While I was on the other side of the fence (the interviewee), I also had to learn more about interviewing than I ever expected there was to know. Here is a simple thing I was taught in the first hour or so. You can see it on TV every night. Invade personal space. A reporter on TV who is standing beside a person being interviewed has to stand close so they both fit on the screen. Typically this involves being within less than half a metre (about a foot) from the person. You can use this to your advantage with someone who has not had the benefit of media training to make them feel uncomfortable. Try it on a colleague. Ask them an awkward question while standing up close to them. You can see them squirm. Ask the same question across the room, and they may show mild discomfort but nothing like the level when you are up close to them. Also see what happens when the reporter is trying to make the person comfortable. They move further away. In fact they may want to make them relax by putting some space between them before getting up close and personal for the killer questions. Interviews can be either “Open” or “Closed”. Usually interviews are a mixture of both. We will cover how each type of interview is carried out, and the pros and cons of “Open” versus “Closed”. Managing an Interview around “Open” and “Closed” questions is a key skill of the interviewer. “Tell me about sales?” is an open question. “What were sales for your territory last month?” is a closed question. The first question may take half an hour to answer. The second will probably take less than a minute. It all depends on what you already know and what you need to know. If you are absolutely confident you are fully briefed on a topic, and there is only one fact you need to determine, a closed question is preferable. On the other hand, if your knowledge is sketchy, and you are not even sure what questions to ask, an open question is the way to go. If your washing machine is broken and the repair man tells you the water pump is not working, you are unlikely to ask him is it the shaft is worn, impeller is split or motor burnt out? That would be a closed question and we probably don’t have the knowledge to ask it anyway (Incidentally I did make that up. I have no idea what else could break). We would ask an open question such as asking him to explain further. At that point he might explain it is the impeller broken because some coins got through the filter and jammed in the pump. You can then follow up with a more closed question about what that means to the repair and your wallet. If the person provides a wandering answer, or a ‘brain dump’ offer a summary of the question - let the interviewees confirm its accuracy. Allow ample opportunity for ‘and also’ issues to be raised at the end of the interview or afterwards. People answering open questions tend to remember facts as they go along. The question presumes and prompts a yes/no answer. 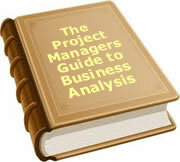 It also offers a quick and easy interview, requiring minimum reflection and analysis. As mentioned, closed interviews are useful when you are trying to find out one fact. You know precisely the question to ask and know the possible answers. They are also useful in clarifying facts in an open interview. As people cover topics broadly, you might grab one point and want to understand it more clearly. You want to drill down on a particular aspect. For example, you asked a question on how effective current sales reports are. The person is giving you a full briefing on all the reports, and the implications. They mention the sales summary report. You might ask a closed question about who receives the report and why they are provided with a copy. Closed questions allow you to drill down on a piece of information. It is more likely that closed questions will be more spontaneous than open questions. As the open question draws out the big picture, you want to closely examine bits of the picture with closed questions. Closed questions can put people on the spot. They can almost sound like they were fired by the prosecutor in a trial. The result is the same as in a trial. The person becomes defensive. They try to find a way out of any admission or commitment. A better approach is to use an open question that allows people room to manoeuvre or qualify their answer. You can tighten up the response with closed questions based around the answer. In both cases, an open ended question allows the person to answer without feeling threatened or ambushed. You avoid the instinctive “flight or fight”. An interview is an information gathering exercise. That means that you, as the interviewer, are there to direct and listen. You know your own views. The interviewee does not necessarily need to know those views. While you are talking, you are not listening and the purpose of an interview is to find out information from the interviewee. Your role is to keep the ball rolling down the road. There is an old saying that when carrying out an interview, you should “speak with your ears”. In other words, if you say something it should only be because you want to hear the answer. A technique used by television interviews is to ask a number of easy questions to relax the person before hitting them with the big one. Use the relaxing questions to start your interview. If the person is at all apprehensive at the start of an interview, a few questions to loosen them up will help later in the discussion. Imaging you are being interviewed and you are feeling a little nervous or unsure about the area under discussion. You might not even know exactly why you are being interviewed. If the person starts by explaining the purpose of the interview then asks a few easily answered questions, you start to relax and will become more likely to assist the person. An agenda is a great tool, in most circumstances. If you are having a regular review meeting and have a range of regular topics to cover, an agenda is a great roadmap. Point 1; point2; point 3. If on the other hand it is an open discussion, an agenda may be an impediment. The interviewee may want to talk about point 1 and 7 because he sees them as related. The discussion is roaming around the topic, and it might not fit into neat compartments. In this case use the agenda as a checklist. It does not have to be strictly followed. It can be a list of topics you want to have covered by the end of the interview. As the interview draws to a close, go over the agenda and see if any points still need discussion. It takes some skill to treat an agenda as a set of boundaries rather than a roadmap. If you can develop those skills, the results can be excellent. Sometimes people lose the thread of what they are saying. Their mind is wandering down a path and they forget where they have been or are going. It is useful to sometimes stop and summarise what you think has been said. It is double purposed. Firstly it confirms what has been said, and secondly it re-focuses the person. It is a fact that most people want to be listened to. It is important to feel that the person is mentally still with us as we speak. The occasional nod of the head or confirmation of a point helps people feel their comments are valued. Be sure to respond to people or they will stop contributing and want to terminate the interview. Writing things down will assist in convincing people their input is of value. “Why would you ask me that?” In other words, let’s argue about whether you should ask the question rather than try and answer it. If you cannot get an answer to a question, try to understand why the person is uncomfortable to provide an answer. It may just be that they forgot the original question and went off on a different track. On the other hand they may well have something they don’t want to tell you. Sometimes understanding the reason for not answering in fact answers the question. Very few people can hide body language. You do not have to be an expert to read it as we all do to some extent. The eyes looking around the room for an answer; folded arms in a defensive position; legs crossed towards you for trust and away for mistrust. There are many articles on body language and a bit of research can help you read what is not being said. As a consultant I have been amazed some times at what people have told me. Even though it might not be attributed to them in a report, people often say things to an outsider they would never say to their peers. I remember one project review where the project manager was scathing in his remarks about the steering committee. He had never expressed his thoughts to them but told me. On investigation I had to agree with his comments and put it in the report. One of the steering committee members came up to me afterwards and asked me why the project manager never expressed his concerns to the committee? Sometimes it is useful to use an outside party for interviews as they are usually seen as coming to the situation without a bias. If not independent, they are usually viewed as not coming to support any entrenched point of view. In fact, from a consultant credibility point of view, it does you no good to go into an organisation to reinforce a particular person’s case if you do not believe it to be valid. I usually tell people in that situation that I do investigation, not lobbying. Several years ago I did a PIR for a company and managed to upset the executive management team by pointing out their lack of support and the failures that followed. Although I had done considerable work for the organisation I was not invited back to do any more work for a couple of years. When I was invited back, I found most of the people I had been critical of had moved on. I was invited back because the person who now wanted work done was impressed with my fairness and impartiality from years before. He had remembered me and now needed the same sort of review done without someone pushing a particular point of view. What goes around comes around. It is surprising how many people think an interview is just a fireside chat. The dynamics are far more complex. Think about your own interviewing technique and use some of these ideas to improve it. It is particularly important for your career path as you sometimes have to interview senior managers. The interview is often the only real exposure you have for them to form an opinion of you. If a promotion comes up and you have just bungled your way through a poor interview with a senior manager, your chances of getting a promotion are low. On the other hand if you have managed to direct the interview in a manner that impressed the manager, your chances are enhanced. To date, 3 people have rated this article. The average rating is 4.00 - Add your rating. Just select a rating and click the button. No other information required.